From its early existence, Cheadle has developed and evolved into one of the most convenient, desirable areas in south Manchester and is steeped in a long colourful history. Cheadle began as a tiny settlement beside a Saxon cross on the riverbank known as Chad’s hill, and is also mentioned in the doomsday book under the name ‘cedde’. 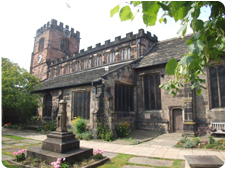 The focal point of the village since the 16th Century has been the Parish Church of Saint Mary being a fine example of Church architecture and is adjacent to the White Hart Hotel which was originally a coaching inn on the main Manchester to London route. Famous distinguished visitors from bygone days have included Charles Dickens, King Edward VII and Agatha Christie. 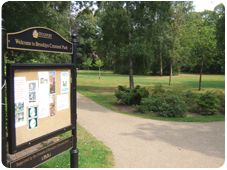 Throughout its history Cheadle has faced many changes and challenges but local dignitaries have always fought to retain the individuality of the village and preserve much of its ‘green’ character which is evident today. Whilst fondly knows as ‘the village’ by many of its residents, today Cheadle is infact the home to approximately 20 thousand people and the varied housing stock ranges from affordable starter homes through to the magnificent homes of distinction with price tags in excess of £1,000,000. So what does Cheadle have to offer? For the commuter, Cheadle has direct access to the north-west motorway network and is approximately four miles from Manchester International Airport. Stockport town centre is approximately three miles away and the main A34 provides easy access to Manchester City centre, which is approximately eight miles away. For the prospective family purchaser, excellent state and independent schools serve the area. Cheadle Hulme School being one of the top schools for 11-18 year olds in the country. Likewise, the North Jewish Primary/Junior School enjoys an enviable reputation. The vibrant Village centre boasts a good range of shopping facilities with many independent traders catering for most everyday requirements. In addition, John Lewis and Sainsbury’s superstores can be found at Cheadle Royal. The young professional or first time buyer market will be pleased to find a choice of Hostelries and restaurants in the village centre with Costa Coffee and Pizza Express being two welcome additions to the ‘Café Society’. For the more energetic, David Lloyd and The Village Hotel and leisure complex both offer state of the art fitness equipment and amenities. Two golf courses, Bruntwood Park and Abney Hall Nature Reserve offer outdoor pursuits for all the family. The property market, like many locations in the country, has seen ebbs and flows over recent years, but in the main has been an excellent place to invest, be it on a ‘buy or let’ basis or indeed as a new family home. An average two bedroom modern mews property on the outskirts would typically sell for £130,000, a three bedroom semi-detached nearer the centre would cost in the region of £200,000 to £250,000, an executive style four bedroom detached at £400,000 and a more individual detached residence from £500,000 upwards. Andrew J Dawson Estate Agents specialise in the sale and letting of residential property in Cheadle and surrounding areas. We are an independent company of highly motivated professionals, offering a personal and enthusiastic approach to all your property related requirements.